Are you an ASPA Certified Screen Printer or Graphic Artist? Tell us how ASPA Certification has helped you. You can win $50. Winners chosen are based on quality of the response. 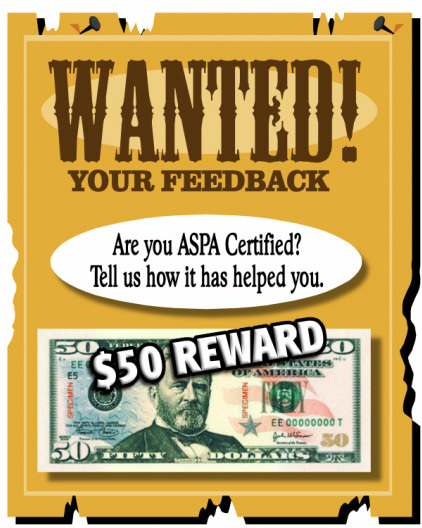 ARE YOU ASPA CERTIFIED? WIN $50! Are you an ASPA Certified Screen Printer or Graphic Artist? Tell us how ASPA Certification has helped you. You can win $50. We choose winners based on the quality of the responses that we receive.